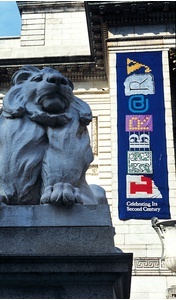 The New York Public Library is a cultural attraction and a center for scholarship. 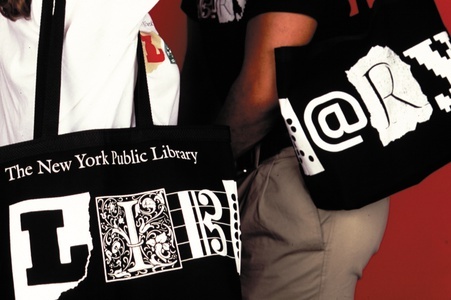 To celebrate the library's one-hundredth birthday, there was a need for a special visual brand to help launch an ambitious capital campaign. 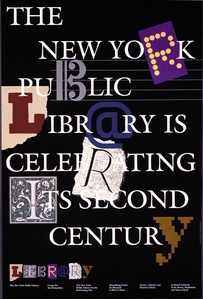 Rather than celebrate the past, the final graphic solution conveys the diversity of the institution's collections and holdings by treating each letter in the word "library" differently, suggesting posters, rare books, Braille, music, manuscripts and digital files. The program included stationery, press kit, invitations, posters, banners, signage and a line of branded merchandise.